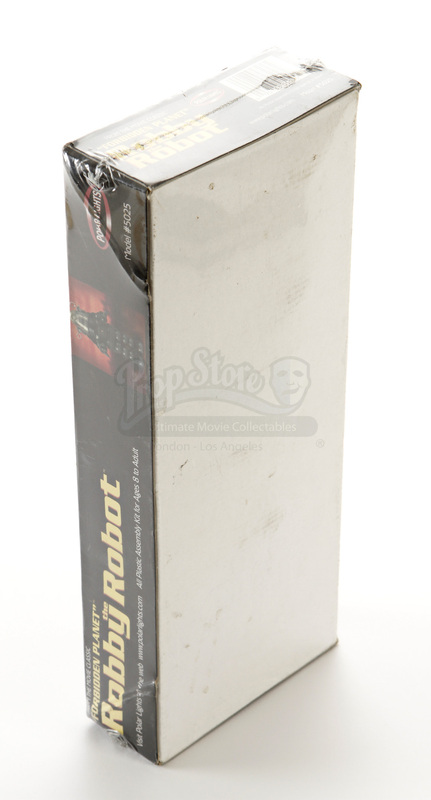 A Robby the Robot model kit from the hit comedy, The 40 Year Old Virgin. As his friends try to help Andy (Steve Carell) score for the first time, he must part ways with his extensive collection of action figures, models, and toys. 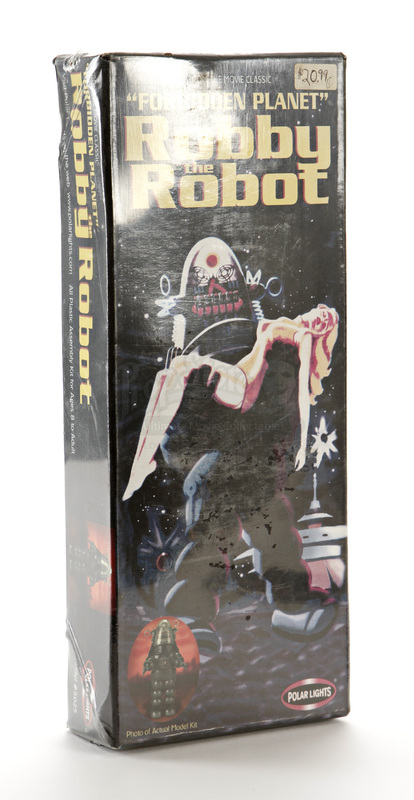 This model was used as a background piece in Andy's apartment. 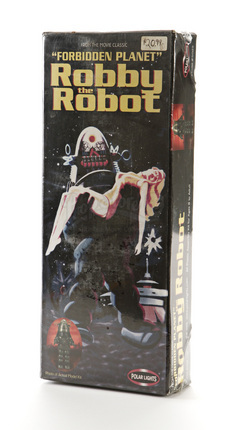 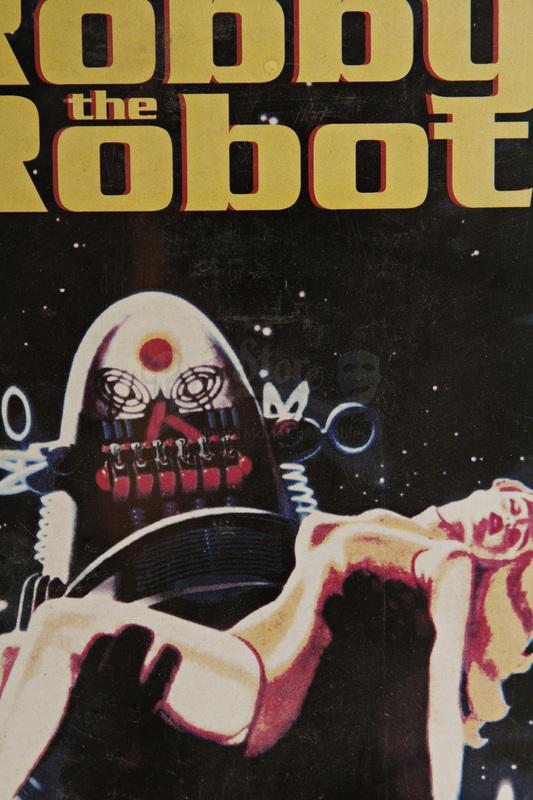 This vintage reproduction model was made by Polar Lights, and includes an unassembled plastic figure of Robby the Robot, and has never been opened. 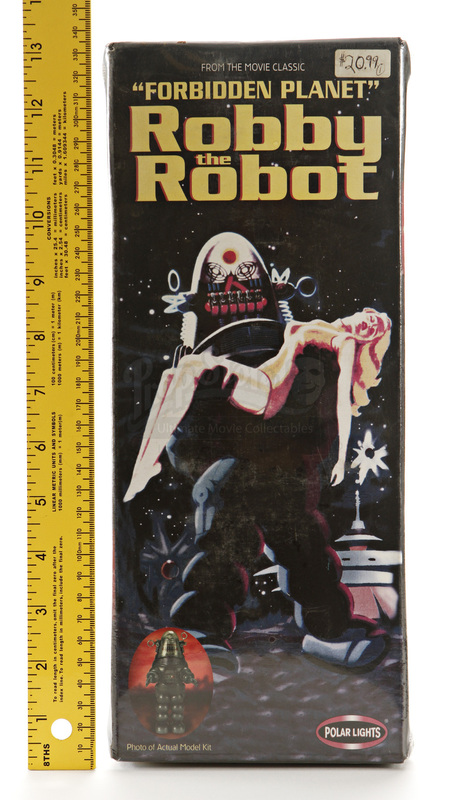 The sealed box measures approximately 13" x 5" x 2" (33cm x 13cm x 5cm) and is in very good condition.